I knew as soon as I posted about my icky abdomen year that things would start to look up. You know that feeling? When you are struggling with a task and then open your mouth to ask for a hand, and then all of a sudden you solve it? Beautiful, isn’t it? This is a new year, a clean slate, a season of healing. And I hope it is beginning for all of you. 1. Magnesium oxide. Pretty sure this is code for ‘nature’s-feel-good happy-calming’ drug. Seriously. Magnesium is amazing. This kind of magnesium particularly targets the digestive tract to fight the babesia hanging out there. 2. Aloe Vera Gel. Does it taste like Shrek snot? Absolutely. Does it help your tummy? You bet. Pinch your nose, eat something yummy afterwards and trust me it will be worth it. Coats your stomach, which is great for when you have to take all sorts of nasty pills which hurt your stomach lining (or have an ulcer, like me). 3. Nucca chiropractic. Essentially, it’s the realigning of the atlas (near the top of spine in your neck), which if out of alignment, makes the ‘signals’ coming down from your not as clear to the body. A nerve problem could have been causing my Gut Palsy, so hope it continues to help! After the first treatment, I felt like a weight had been lifted off my shoulders, and the energy/chi/life force/energy pathways on my left side, which had been blocked for so long, were balanced (yay!). 4. Soup diet. Just for a few days. I don’t like to think it helped, but who knows. Mum’s have this pesky habit of being right ;). So all told, my tummy (and the body connected to it!) is feeling much better. Still a bit uncomfy, but it’s feeling well enough to eat cookies :). I made the best cookies in the whole world from “Real Sustenance” blog. They are made entirely from nut/seed flour, and a sugar-free, soy-free, and wheat/gluten-free anddddd vegan. I know. Sounds like it might be free of yumminess too, but let me assure you that is not so. I used walnut flour, which I made myself in a food processor, soy-free margarine (but will use less next time. walnuts are oily! 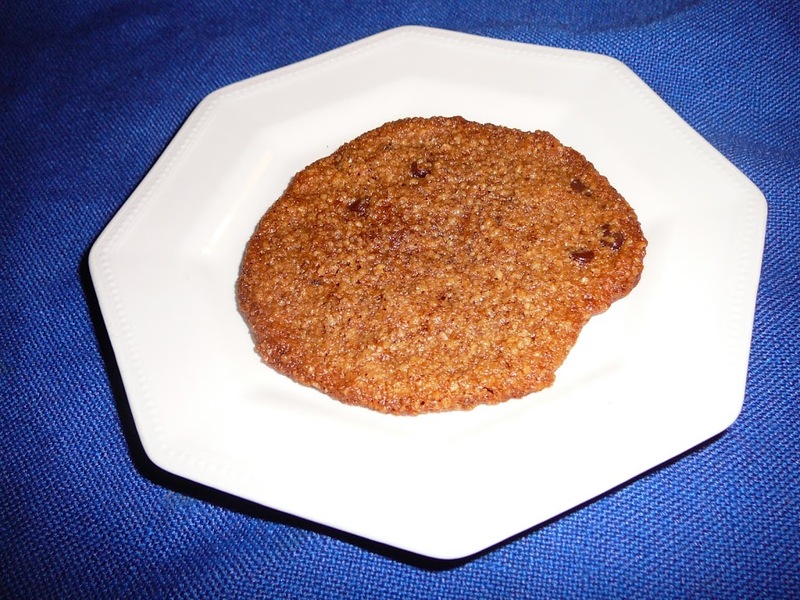 ), coconut palm sugar, almond milk, and Enjoy Life Allergen-Free chocolate chips. Flat, crispy little golden-brown cookies is the result. Perfection! Can’t wait to bake some more :D.
Help Fill a Dream is a Vancouver Island organization that fills the dreams of children with life-threatening conditions, and also provides financial assistance to families with sick children. They have granted over 1,900 wishes to Island kids!! They are a fantastic group of hardworking, big-hearted people, who have helped me and my family enormously over the past few years. They are certainly a can-do organization. Recently, they had their big ‘Rink of Dreams’ fundraiser, which is a 24 hour hockey marathon! A really nice girl about my age named Rachael and I were asked to be honorary captains, to drop ceremonial puck together- how cool is that? There was a rehearsal a while ago, where I got to meet everyone, and see how things were going to go and all, and yesterday was the big finale of the fundraiser. Amazingly, a company called MacQuarie Group matched the donations, and HFAD was presented with a check for $80,000 (with hopefully another $20,000 en route, bringing the final total to $100,000!). I have no doubt this will quickly be turned into a whole lot of wishes. I had no idea wheelchairs could go on the ice, but apparently it is no problem. Before I was sick, I was a pretty poor ice skater, but could manage by holding on to two people and constantly falling or nearly doing the splits. Lets leave it by saying that I lacked control, and had to run into things to stop. I’ve never played real Canadian ‘ice’ hockey, but loved field hockey at my old school, and what I lacked in skill I made up for in enthusiasm. The whole thing was just a whole lot of fun, and exciting. I didn’t stay very long, because I was feeling so poorly, but enjoyed watching all the costumed characters unfolding the ginormous flag for the singing of ‘O Canada’. I think the people were in costumes partly because the most popular wish request is a trip to Disney Land :D. Very cute. Darth Vader, alongside Princess Leia, Snow White and Captain Jack Sparrow.